[Jesus:] "I am praying not only for these disciples but also for all who will ever believe in me through their message. I pray that they will all be one, just as you and I are one — as you are in me, Father, and I am in you. And may they be in us so that the world will believe you sent me." 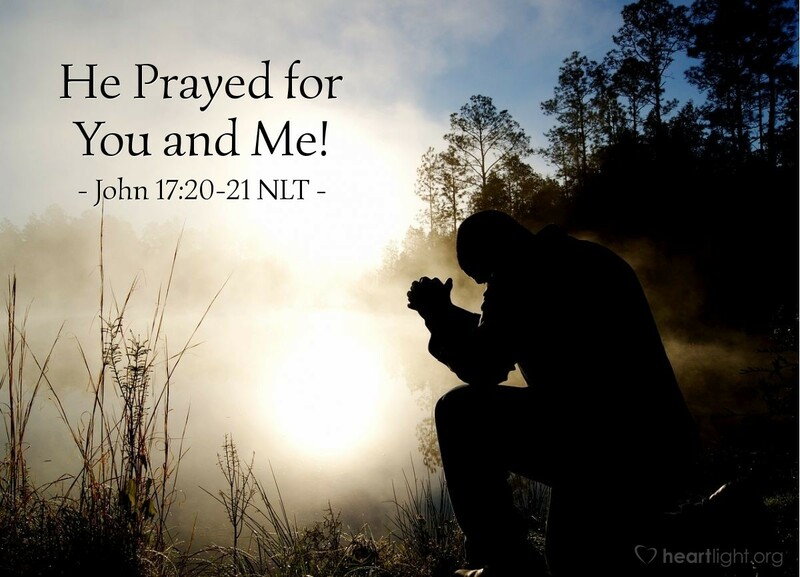 Jesus didn't pray just for his immediate disciples, but also for those who would believe on him because of their word. Folks, that includes us! Jesus looked beyond the first generation of believers and saw others who would follow him. His prayer for them, and for us, is that we would be unified so that the world around us will believe that God sent Jesus to be the Savior of the world. So let's get together by coming to Jesus and seeking his life, his love, his will, and his Spirit to help us be what he has called us to be. Holy and almighty God, please break down the walls that separate your people and keep us apart. Forgive us for our arrogance and selfishness and bring us to unity as we seek to serve the world as your Son did. As we focus more on Jesus, please conform us more to your will. In Jesus' name, I pray. Amen.